The 600266 Recliner from Coaster Furniture is made with a soft durable micro fiber cover featuring a sage color. 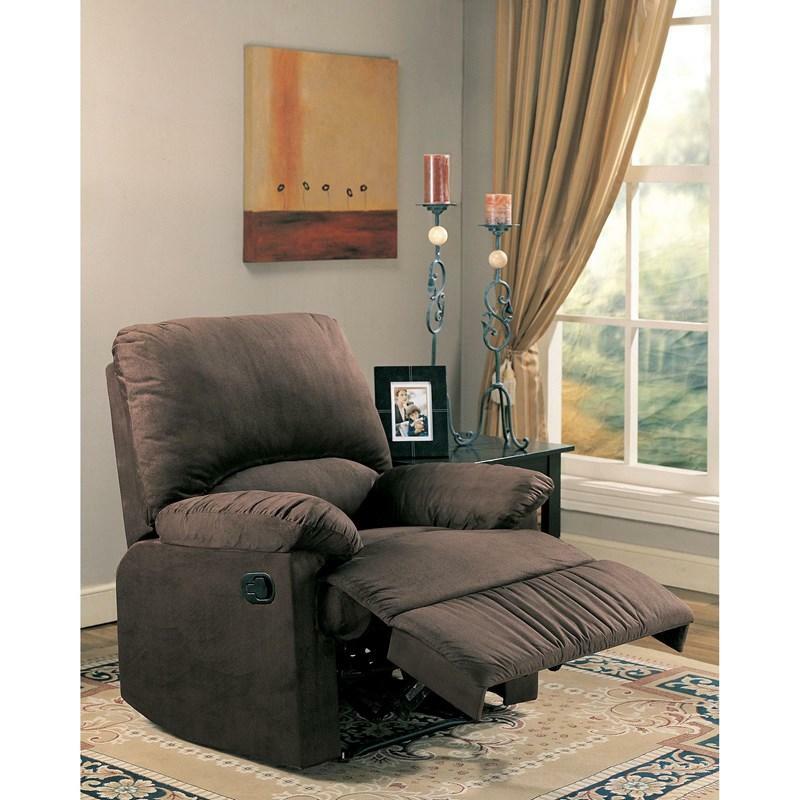 The plush padded seating makes this recliner the perfect choice for style and comfort. Volume 16.3 cu. ft. / 0.46 cu. m.